All events are free; some events require registration. For more information, call the library at 262-246-5181. Turning 65? Welcome to Medicare! Turning 65 this year? Confused about your Medicare options? What plan is right for you? Learn about Medicare plans and receive unbiased, objective information. Presented by the Greater Wisconsin Agency on Aging Resources, Inc. and the Aging and Disability Resource Center of Waukesha County. No registration required. 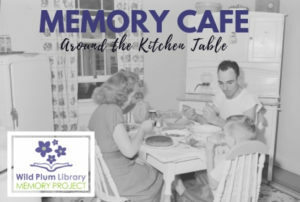 Pauline Haass Public Library is excited to host our first Memory Café. Memory Cafés are informal social gatherings for those who have early stage Alzheimer’s disease, memory loss, or mild cognitive impairment, and their care partner. The event theme is “Around the Kitchen Table.” Join us to sample favorite family recipes and learn their history. Participants will be encouraged to share their favorite dishes and food traditions. First time attendees – please contact the Alzheimer’s Association to RSVP at 800-272-3900. Identity theft continues to be the fastest growing crime in the United States. The different types of identity theft will be explained during this presentation by the Wisconsin Bureau of Consumer Protection. Learn how to spot the red flags of a scam and about Fraud Alerts and Security Freezes. Participate in a discussion of trauma informed care, adverse experiences, and impact on brain functioning. Dereck Wolfgram APSW, SAC-IT, TIC and Patrice Flanagan-Morris APSW, TIC from Live Resilient of Oconomowoc will share how trauma can filter into our everyday lives. Learn about non-traditional therapies to help with healing. Is the book always better than the movie? 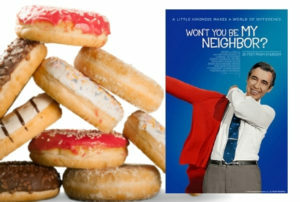 You be the judge at Book to Movie Night. The 2019 remake of Pet Sematary releases in theaters on April 5. 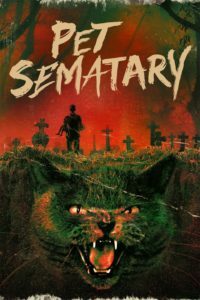 Join us for a screening of the original 1989 film adaptation, based on Stephen King’s 1983 book with the same name. Read the book before the event and we’ll watch the movie together. Stay after the film for a brief discussion. Request your copy of the book by calling 262-246-5181 or visit www.cafelibraries.org to place a hold. You do not need to read the book to attend Movie Night, but it’s encouraged. The event is open to teens and adults. Registration is not required. Film is rated R.
Join others one Monday each month to watch a documentary on a current event or popular topic. Following the film join in a brief discussion. Donuts, coffee, and tea will be provided. 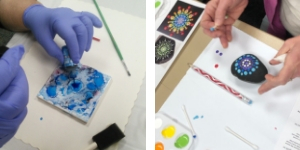 Materials for each of these free adult programs is limited and registration is required. Registration date listed with each event description. Visit the library or call (262)246-5181 to reserve your seat.